The most important telescope ever built in Ireland, one capable of revealing the most closely guarded secrets of the Universe, was switched on by Minister John Halligan today (27th July 2017) in Birr Castle Co Offaly. The scientists behind Ireland’s LOFAR radio telescope say that it can listen in to signals coming from even the most distant parts of space, and could conceivable, one day, detect a signal from an extraterrestrial civilisation. Up to today, if ET was going to send a signal to the Earth via radio – which many believe would be his preferred option for technical reasons – Ireland certainly would not be the first place to pick up the historic transmission. After today, it is entirely possible that Birr Castle, which is now proudly home to Ireland’s LOFAR radio telescope, could be the location where the world’s press gather to hear of the first radio contact from another civilisation. 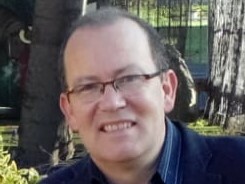 The person that has, more than any other, put Irish astronomy back on the map, in a way that it hasn’t been since the 19th century, is Peter Gallagher, professor in astrophysics at Trinity College Dublin. Peter led the countdown to the switching on of I-LOFAR this morning, and even heavy rain didn’t dampen the enthusiasm of a crowd of scientists, locals, journalists, as well as Minister Halligan and his officials. 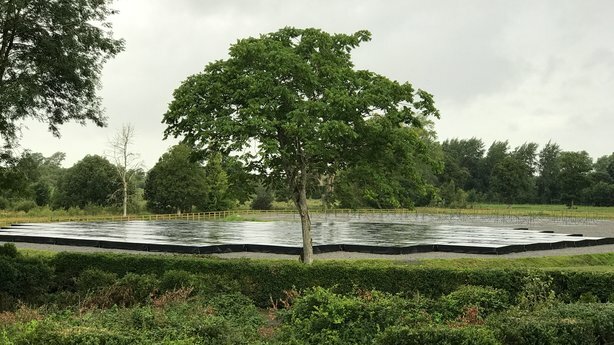 It is entirely fitting that Birr Castle is home to I- LOFAR as it is also home to the Leviathan of Parsonson, an enormous hulking optical, or light-based telescope, that sits in a field adjacent to the new arrival. The Leviathan, was the world’s largest and most famous telescope between the years 1845 and 1917. It was built, designed and operated by William Parsons, the Third Earl of Rosse, a brilliant scientist, who used his remarkable telescope, and eyesight, to make out the distinctive spiral shape of what became known as a whirlpool galaxy, because of its distinctive shape, called M51. That was in 1845. This discovery was huge, because it meant that there was more than one galaxy outside our own, the Milky Way and meant the Universe was a lot larger than we had thought up to then. The telescope and Lord Rosse attracted visitors from around the world who came to look in awe on the remarkable man and his machine. The switching on of I-LOFAR today as a proud and emotional day for the current Lord Rosse, Brendan Parsons, the 7th Earl. Today was a historic and exciting day for Irish astronomy, and puts it back on the international map in a way it hasn’t been since the 19th century. Scientists here, using I-LOFAR, will, as of today, be able to hunt for new planets, try and unravel some of the Universe’s most deeply held secrets, and even, one day, perhaps, receive a signal from whatever intelligent life form may wish to send a radio signal our way. Let the astronomical games begin!